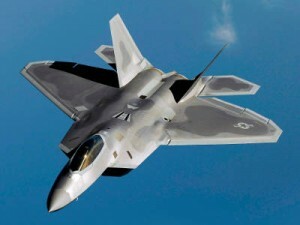 The United States sent Fighter Jet F-22 Raptor to South Korea to strengthen their combat fleet in the peninsula. Delivery is also intended as a preparation for combat exercises between South Korean and U.S. forces. Fighter F-22 Raptor at the fly from Japan to fill the position of a joint U.S. troops in South Korea to be prepared to anticipate an attack from North Korea. But the U.S. military did not reveal how many F-22 aircraft which they will send to South Korea. It certainly has come under fire from North Korea who consider sending this as a form of provocation. Moreover, last week the U.S. military to test their flying stealth bomber B-2 Spirit to South Korea. Tensions on the Korean peninsula after North Korea's growing nuclear missile test (which North Korea claimed the satellite test) and that led to the end of 2012 the communist state gets additional United Nations sanctions.